Magique Monumental Planks transform normal interior spaces into unique, breathtaking visuals. The planks come in three widths, 3.5″, 6″ and 9.5″. Bolstered by their majestic length of 86″, the visual sensation serves to enlarge the expanse of the space. 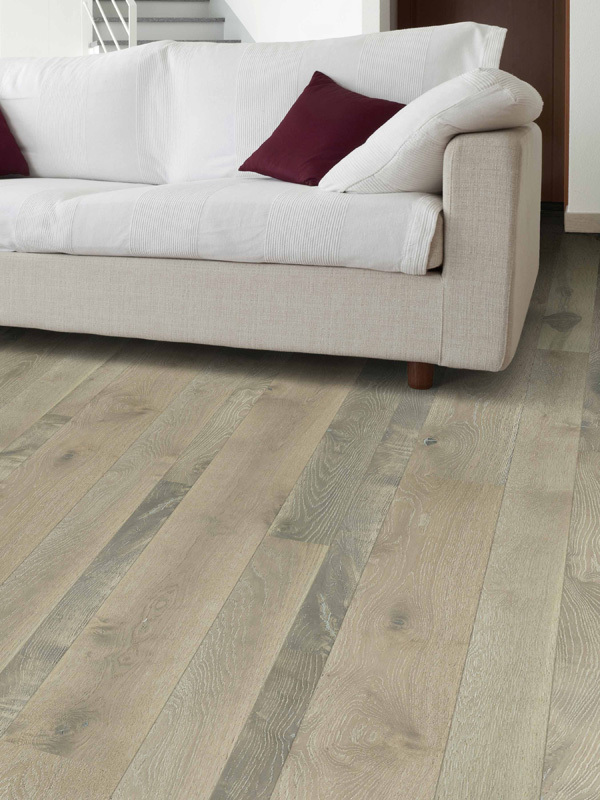 The rhythmic grain flows of these European Wide Oak planks are further enhanced by subtle wire brushing. An aura of timelessness characterizes each installation, ushering in a new generation of hardwood floors as current as they are classical. Magique is 9/16″ thick, a seven-ply engineered floor which won’t buckle, crown, or cup. Its dimensional stability will prevent expansion and shrinking even with swings in temperature and humidity. It is suitable for installing on, below or above grade level. It can be glued, nailed or floated, and its flawless tongue & groove milling yields tight seams. Unlike oil finished floors, Max Windsor’s exclusive DuraMax™ lacquer surface finish requires no special maintenance and has at least forty times the abrasion resistance of oil finishes. Magique Monumental Planks will be a dramatic enhancement to your home and will not only add greatly to its appeal, but to its future value.